Posted August 27, 2017 by Caroline Preece & filed under Headlines, Teasers. 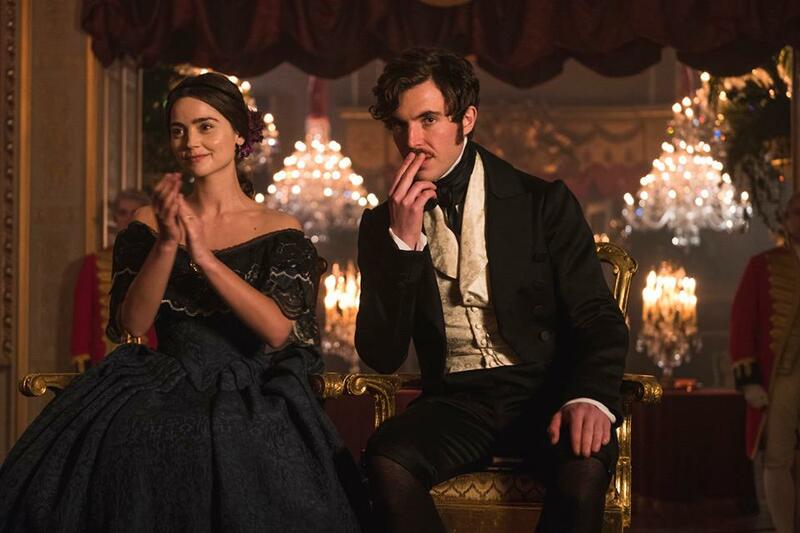 Victoria finally returns to ITV tonight, and it’s clear that it won’t be an easy ride for the young queen. We pick up a month from the end of the first series, just as Victoria (Jenna Colman) and Albert (Tom Hughes) are navigating life as new parents and trying to establish a new status quo amidst political turmoil. 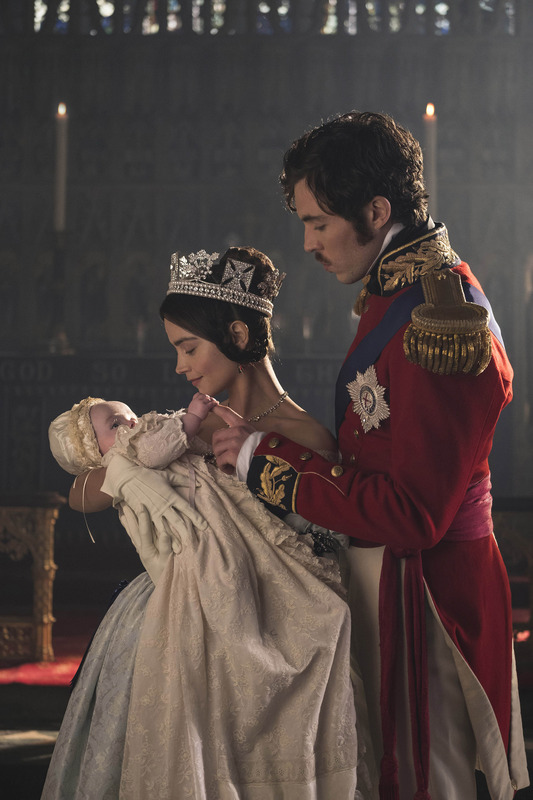 While the first series was focused on Victoria’s journey from 18-year-old girl to strong Queen, the second series will see her struggle to hold on to that power as she endures multiple pregnancies. In many ways, she is much more of a modern heroine – a working mother who is attempting to juggle multiple roles with a husband who feels threatened by his part in the power dynamic. “The Victoria we explore this series is in her honeymoon period, which is interrupted by numerous pregnancies,” said Colman. “She is hugely disappointed to be what she calls, ‘caught’. We see Victoria, as ever, deeply in love with Albert, learning to navigate her new life as a mother and keep her hands firmly on the crown, whilst ring true to her independent and stubborn nature. Such a balancing act leads to inevitable fireworks. So what about Albert? While Victoria is in confinement after the birth of their first child, we see in the first episode of series two that Albert has been relishing his new responsibilities taken on in her absence.